Thousands of British families have cancelled their holidays to Turkey following violence in the country during an attempted coup. Travel agents have been inundated with calls from concerned tourists - following the attempted military takeover - who are asking to delay or cancel their trip to the country. At least 294 people were killed during the conflict on Friday (July 15). Holidaymakers have been urged to exercise caution in the coastal resort of Marmaris, where gunfire has been heard as the Turkish government cracks down on suspected perpetrators. Some 6,000 suspects and opponents of President Recep Tayyip Erdogan have been arrested since a night of bloody conflict on Friday. The UK government's emergency Cobra committee met on Sunday morning to discuss the aftermath. Close co-operation will be maintained with the Turkish government, while efforts to assist Britons stranded abroad will become a main focus, the committee said. Holidaymakers can get peace of mind by having cancellation cover when taking out trusted travel insurance. 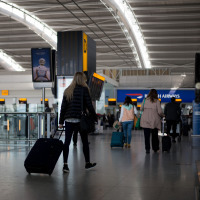 Flights to the UK have begun to return to normal and the government confirmed the backlog of passengers is starting to ease. The Foreign Office said in its travel advice that the situation was "calming" but could still be "volatile". It advised British tourists to avoid public places, especially demonstrations in Ankara and Istanbul, and to follow the advice of authorities. Officials said coastal resorts other than Marmaris do not appear to be significantly affected. Thomson and First Choice flights to Dalaman, Antalya, Izmir and Bodrum are operating as normal, as are easyJet services.